Last weekend a whack of mad whitewater enthusiasts descended on Likely, BC for the annual UnLikely Paddlefest. People came out of the woodwork for this one, including paddlers from Clearwater, Vancouver, Kamloops, the West Kootenays, Quesnel, Calgary, Whistler, Williams Lake, and Prince George. 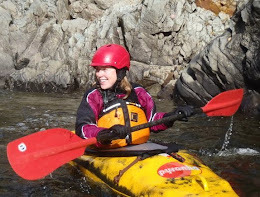 Once again, the town of Likely opened its doors to the kayaking community, with Merle and Alison from Adrenalin Mountain Adventures pulling off a highly organized festival. Runs went down all weekend on the Upper and Lower Cariboo and Upper Quesnel. Levels were on the low side, but the put-in wave on the Quesnel was still in. Here some pix, including the wicked party on Saturday night featuring Shane Phillips. 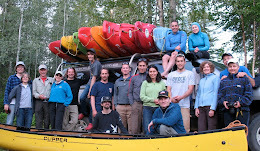 After the weekend festivities wrapped up, a few of us headed out to run the Chilko River. This is definitely one of the classic runs in western Canada. 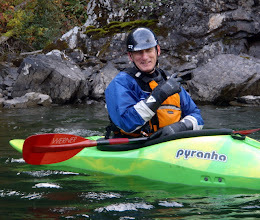 Located in the beautiful Chilcotin Plateau and running through steep basalt canyons, the Chilko has lots of fun continuous rapids that should be a "must do" on a paddlers tick list. There are also some amazing play waves throughout the run and lots of wildlife. We saw dozens of eagles fishing for salmon, and a few black bears eating berries on the shore. Kim, Efor, Scott and I made the trip, while a Calgary posse and others hooked up with Adrenalin Mountain. Enjoy the pix below.